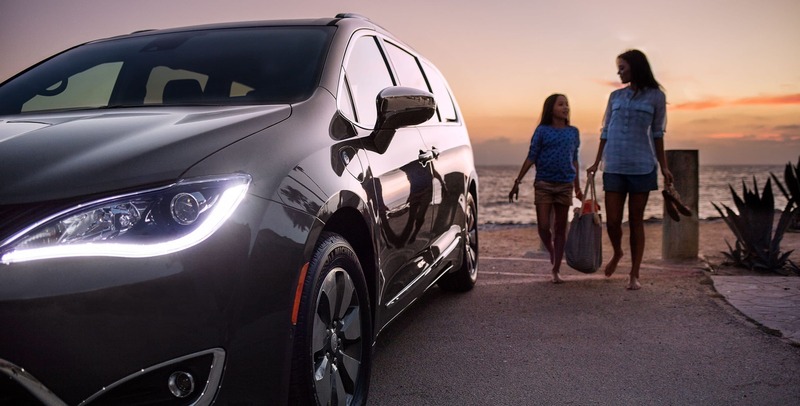 The Chrysler Pacifica is a solid, innovative and simultaneously popular choice, and 2019 promised to be even more so. 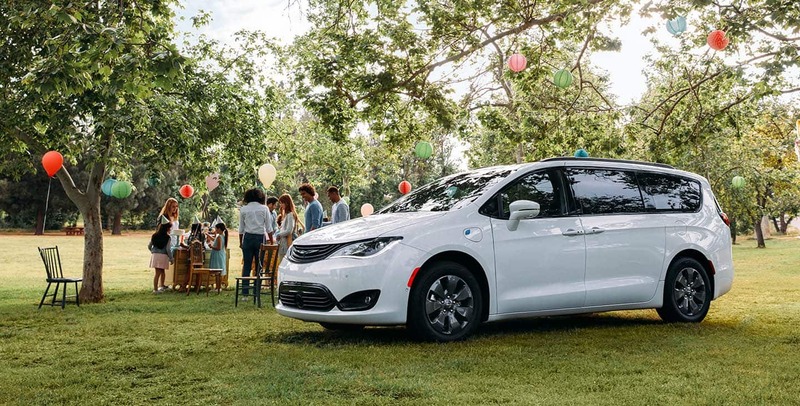 This is because Chrysler, who invented the minivan to begin with, debuted the new Pacifica three years ago to strong support, and has only solidified its position on top with ongoing development. Being the IIHS Top Safety Pick 3 years in a row doesn't hurt either, but were you aware that Chrysler also made a hybrid version of it as well? The capable, fuel-conserving hybrid models can also be had in the popular "S Appearance Package", which is a first in 2019. 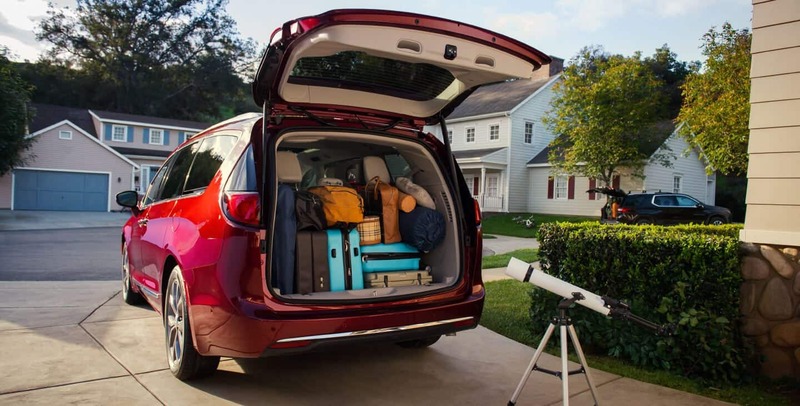 With dual power sliding doors, a power liftgate, entertainment options galore, and a smooth ride, the Pacifica is coming down the pike into your life, hopefully sooner than later! What power systems are within the 2019 Pacifica? The latest-generation Pentastar V6 gas engine gets to an excellent 287-horsepower and 262 lb.-ft. of torque and gas Pacifica models will get about 28-mpg (depending on trim & options). It is joined to a segment-exclusive TorqueFlite nine-speed automatic transmission. This pair will tow a best-in-class 3,600 pounds! The Hybrid version has a 520-mile total driving range (plus the 32-mile all-electric range) and is powered by the collaboration between two assistive electric motors, a 16-kWh lithium-ion battery, and the gasoline engine. The hybrid's transmission is a slightly modified one from the gas-centered version, called the eFlite single-electrically variable transmission (Si-EVT). All in all, the hybrid gets 82-MPGe. Charge it up with the available 240-volt Mopar charger in about 2 hours, plus, regenerative braking allows you to partially charge while on the move via the friction of the brakes! Would you go over the feature options in the models for a minute? 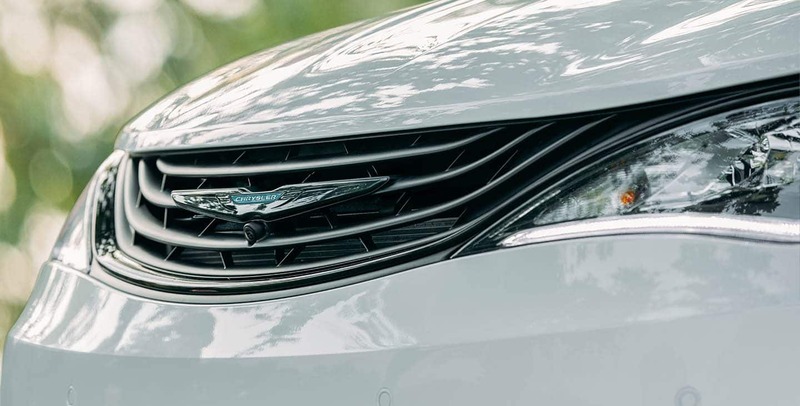 The Pacifica has 6 models to discover: the L, LX, Touring Plus, Limited, Touring L, and the Touring L Plus. 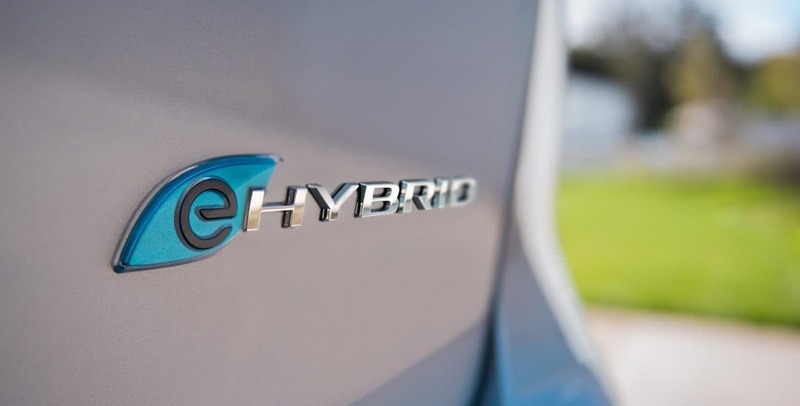 The Hybrid comes exclusively in trims that match three of those almost identically: the Hybrid Limited, Hybrid Touring L, and Hybrid Touring Plus. 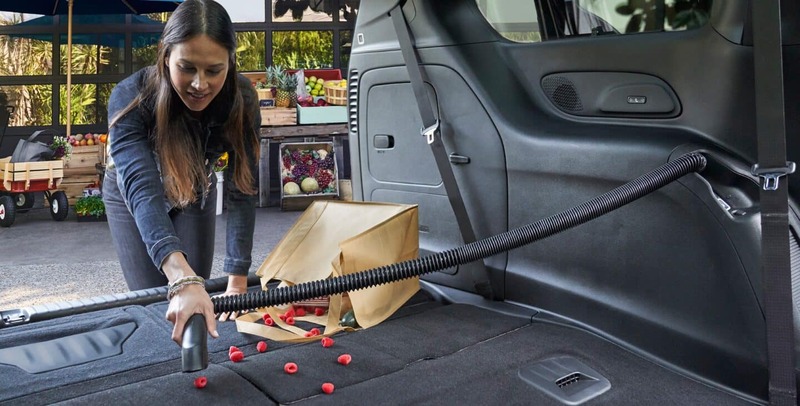 New for 2019 is a Stow 'n Go seating & storage system that unites both Stow 'n Go Assist & Easy Tilt and the inherent Stow 'n Vac vacuum. 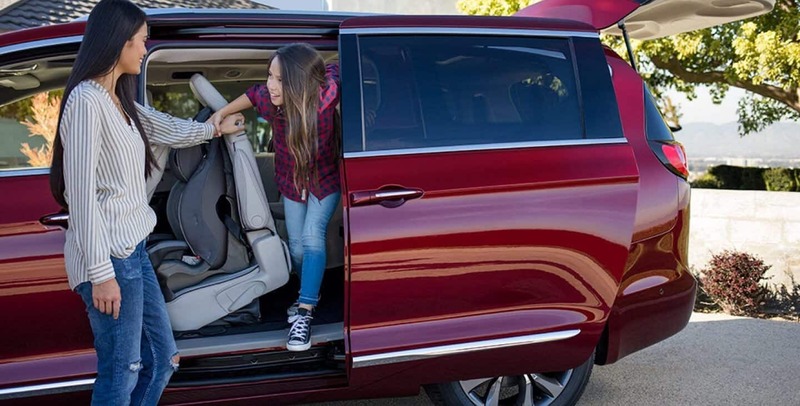 Handsfree power sliding doors are on both sides, and complement the liftgate that rises free with a kicking movement in close proximity to the bumper (when you have the key fob in your pocket/purse). There is a front Auto Advance 'n Return, tri-pane panoramic sunroof available, and even the possibility to acquire the 'S Appearance Package'! Look into getting the calibrated memory setting for the music, seats, and mirrors too, always an appreciated functionality. The Uconnect Theater with Wireless Streaming deploys dual 10" touchscreens (biggest in its class) and is perfectly centered in the cabin so that all rear passengers can enjoy on long trips. let's not ignore that the Pacifica comes in sweet colors for the exterior, such as Jazz Blue, Velvet Red, Dark Cordovan, and Brilliant Black, among several others. It has Uconnect 4 systems to choose from with a 7-inch or 8.4-inch touchscreen, allows buyers to pick an available 4G Wi-Fi, plus, makes Apple CarPlay and Android Auto standard. 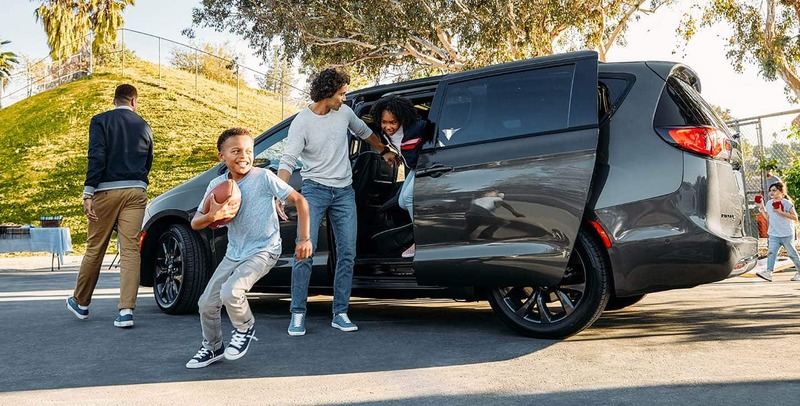 Safety seems important to the Pacifica minivan line, is that correct in 2019? 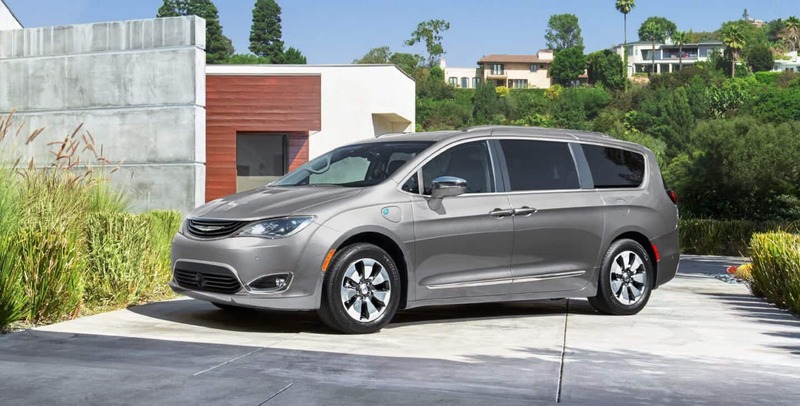 The Chrysler Pacifica certainly brings, in addition to its global-ready platform, the fact that it is built with high-strength 72-percent steel body structure (highest in the North America minivan segment). That equates to better crash-worthiness scores and occupant protection. There are also more than one hundred standard and possible-to-get security installations, not the least of them being the "superior" grade Automatic Emergency Braking technology. There is ParkSense Parallel & Perpendicular Park Assist, Adaptive Cruise Control with Stop & Go, High-Beam Control Headlamps, and a 360-degree Surround View Camera all working to keep you safe. The Forward Collision Warning-Plus feature uses a combination of camera and radar sensors to create accurate information, then acts on it if both systems agree, by applying brakes in an emergency. That kind of futuristic safety (called sensor-fusion) has not been seen in the minivan and popular vehicle segment rarely, and now the 2019 Pacifica joins the club. This is all in addition to standard features like Brake Assist, augmented airbags, Electronic Stability Control, the child-seat securing LATCH system, ABS braking, a remote keyless and illuminated entry system, Traction Control, and Integrated voice command! There exist unprecedented 17-inch polished wheels with painted Tech Grey pockets as standard on Hybrid Limited and Touring L Plus models, while they are available on the Hybrid Touring L and Hybrid Touring Plus models. 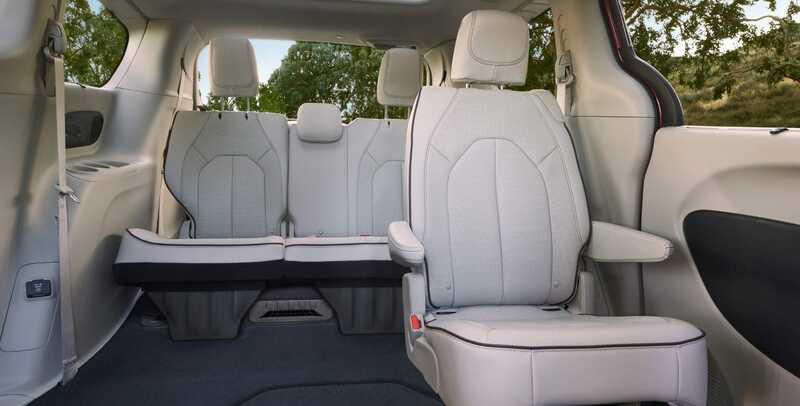 Everybody's interested in the 2019 Chrysler Pacifica, and rightly so, due to its fuel-aware design, passenger spaciousness inside, and proficient powertrain. Having the most modern tech and the highest safety standards are truly just adding to the value. We here at Classic Chrysler Jeep Dodge Ram are ready to take you on a tour of this awesome machine and can't wait for you to stop by! Give us a call at 440-462-1843 today!